TestNG is a testing framework inspired from JUnit and NUnit, but introducing some new functionalities that make it more powerful and easier to use. TestNG is an open source automated testing framework; where NG means Next Generation. 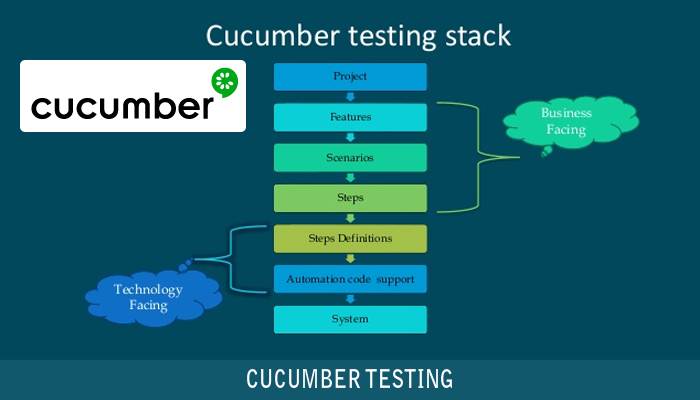 Cucumber is a tool based on Behavior Driven Development (BDD) framework which is used to write acceptance tests for a web application. It allows automation of functional validation in easily readable and understandable format (like plain English) to Business Analysts, Developers, Testers, etc. Well, support page object model (POM) automation design. There is no more need for a static main method in our tests. The sequence of actions is regulated by easy-to-understand annotations that do not require methods to be static. Useful when you have to automate a large number of test case. It is pretty easy to write your own listeners (which act in runtime) and reporters (which are invoked after the execution). TestNG can generate reports based on our Selenium test results. WebDriver has no native mechanism for generating reports. No need to create own Thread objects! Use of rich library of annotations and that is it! it is possible to define dependencies between methods/groups (see next slide). Parametrized tests are very simple with TestNG (no constructor awkwardness). You can have as many data providers in one class as you wish. You can reuse them (call them from other classes), and you can make them “lazy”, so each set of parameters is created when required. Once you migrate to TestNG you will notice that you start writing a lot of parametrized tests. Because they are so very useful! TestNG offers well-thought @Before… and @After… annotations (on suite, class, group and method level). Uncaught exceptions are automatically handled by TestNG without terminating the test prematurely. These exceptions are reported as failed steps in the report. The steps are the application specification. All the feature files ends with .feature extension. Each scenario should follow given, when and then format. This language is called as “gherkin”. Cucumber vs TestNG: Which is better? Cucumber is a collaboration tool, which lets non-technical people write executable specifications. Those executable specifications test your app from the outside – like a black box. Cucumber is not meant to be used as a unit testing tool. It allows to write automated acceptance tests, functional requirements and software documentation into one format that would be understandable by non-technical people as well as testing tools. You can implement your tests using the same language you use to discuss them with the business. Cucumber adds the overhead of plain English (or other native language) to executable code conversion. TestNG are unit testing tools. They are great for testing individual classes, but not great for executable specifications that are readable (and writable) by non-technical people. It facilitates to test individual classes. You can group tests using tags. TestNG supports a lot of complicated practices like priorities, grouping, listener etc. Useful when you have to automate large number of test case.